Join us for the big show! 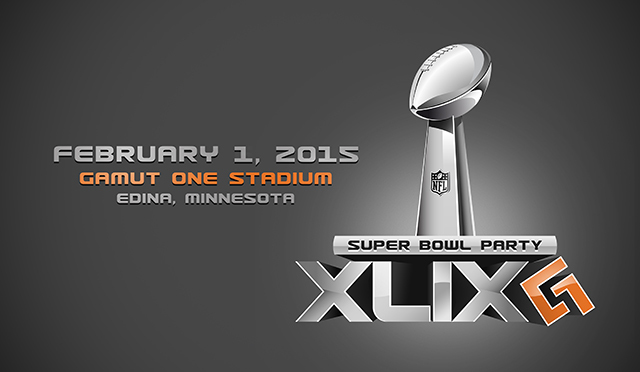 Everyone has his or her own reason to enjoy the biggest party of the year – the Super Bowl! 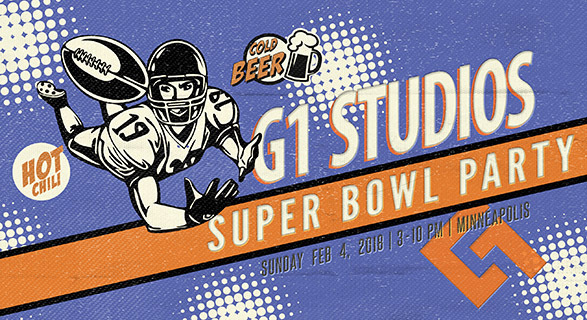 Whether it’s cheering for your favorite team, watching the best commercials, singing along at the halftime show (this year performed by Maroon 5), or eating delicious party food – we invite you to enjoy it all with us for Super Bowl 53! 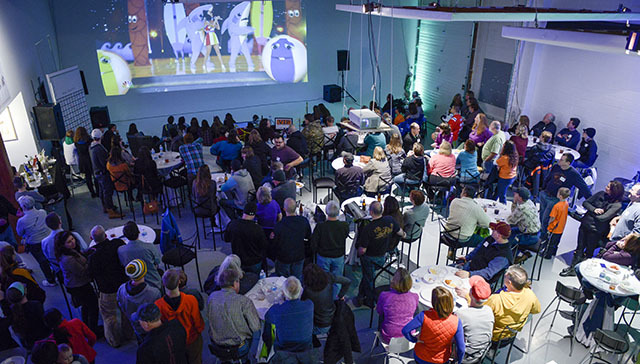 We are excited to host our 9th annual Gamut One Studios’ tailgate experience inside our 10,000 sq. ft. studio. 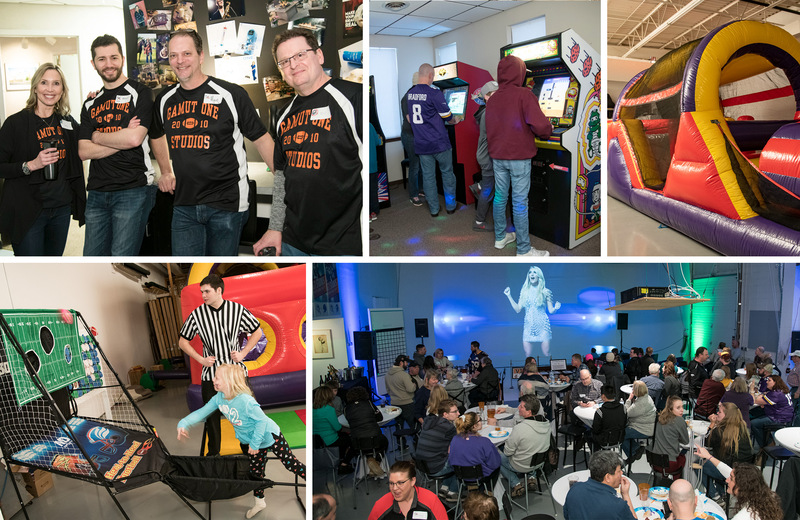 We host this big event to express our appreciation to our clients, families, and friends – and together we also give back in our community to help those in need. This year our silent auctions and food drive will be supporting Second Harvest Heartland, a fantastic hunger relief organization. Second Harvest Heartland works closely with nearly 1,000 partnering food shelves, food pantries and other meal programs. We are collecting canned, dry & non-perishable food to support local families in need. Please consider to bring one or more of these most needed items: canned tuna, ham or chicken, beef stew, chili, peanut butter, and canned or dried beans. With an average party attendance of over 200 guests, we can make a real impact if each person were able to bring at least 1 donation. 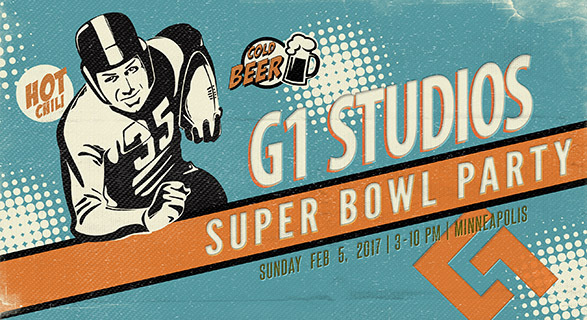 Sunday, February 3rd, 3-10 p.m.
3 p.m. keg is tapped & tailgating begins. 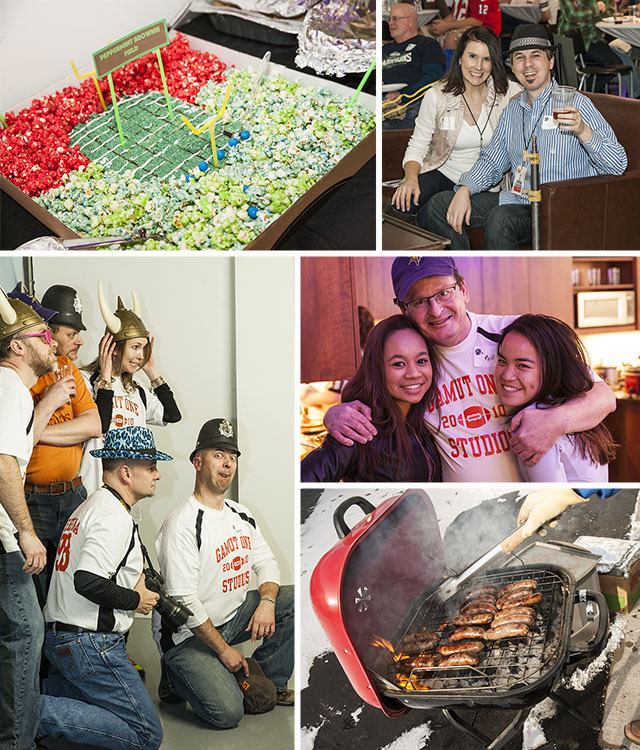 Enjoy some great football fare including the Gamut One Chili Cook-off! 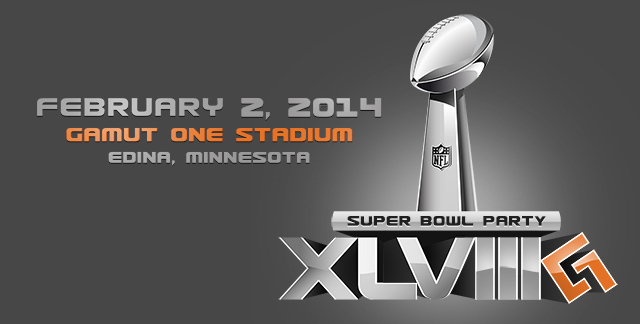 5:30 p.m. enjoy the big game on our amazing 35 ft. High Definition screen! Kid’s interactive fun zone with basketball shoot-out and 34 ft. bouncy obstacle course! Check out the Palace Arcade! Our homage to the old school arcades of the 80’s. No quarters neccessary! Come at 3pm to claim your spot OR bring your own favorite lawn chair for the tailgating fun! We’ll have games, prizes and our famous photobooth! 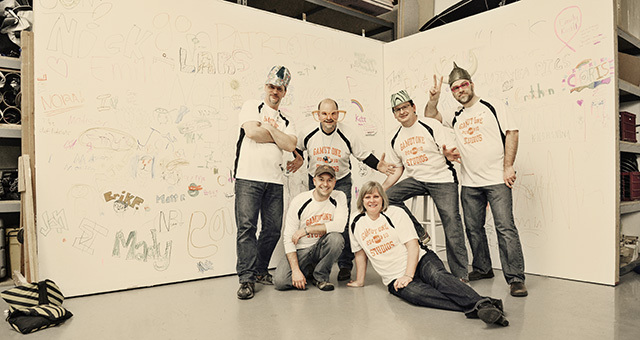 Check out some of our videos from past years to see all the fun you may have missed. See you February 3rd! Number Eight is going to be Great! Could this be the year that the Minnesota Vikings play in U.S. Bank Stadium for Super Bowl 52? It just might happen! 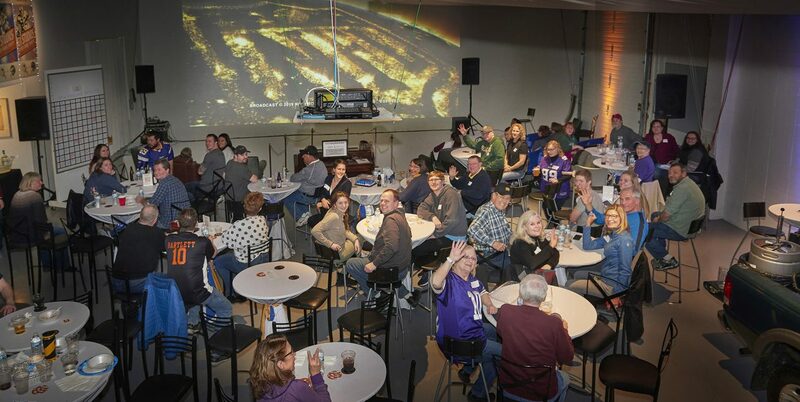 Bring friends & family to tailgate, play games and of course, cheer on the team of your choice (Skol! Vikings!) as we watch and celebrate our home town Super Bowl. 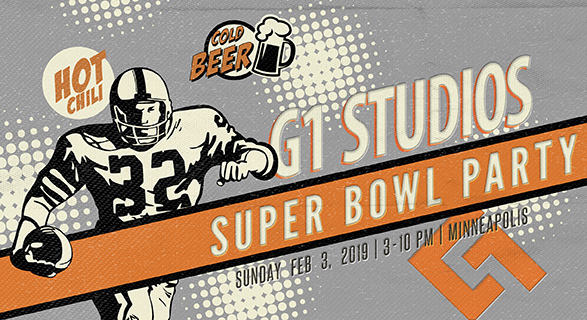 Doors will be open at 3pm and we’ll have hot chili, cold beer and new this year, an 80’s style arcade room with a few of your favorite childhood video games. This year we are proud to support Open Arms of Minnesota, a fantastic non-profit that delivers fresh, nutritious meals to people struggling with cancer, HIV and other life-threatening illnesses. We’ll have some great silent auction items and a Gluten Free Cereal Drive. We hope you will join us and bring a box or two to support the great work that Open Arms does in our community. Some oatmeal can contain trace amounts of gluten. Look for gluten-free labels. A little recap of last year’s party. 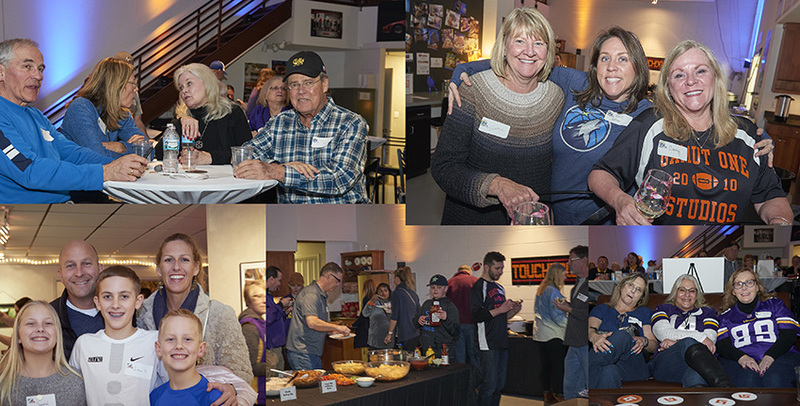 With six years of big game partying for charity under our belts, it was exciting to once again welcome our party regulars, (many who have attended all 7 years in a row!) and greet a group of first time party goers, too. All the newness may have contributed to the crowning of a new chili king with Joe Monsoor (Cathy’s son) winning the coveted best chili award for his spicy sensation, New Delhi Chili with Chicken & Duck. It was unusual that our repeat chili champion’s Dewey Koshenina or Greg Kamin didn’t win…but neither did Greg’s Packers. Ouch. While the chili competition was heating up, the silent auction was also a scene of good natured competition for coveted items like Wild Hockey tickets, Droolin’ Moose chocolates and Frost River’s acclaimed bags. This year Gamut One’s charity partner was Children’s Home and Lutheran Social Services of Minnesota Adoption Support Fund, two wonderful organizations providing grants to families committing themselves to adopt children with known special needs, school- aged children and large sibling groups. These amazing charities are also near and dear to the hearts of our own, Bill Bartlett and his wife Therese as they are blessed to have grown their family through adoption. 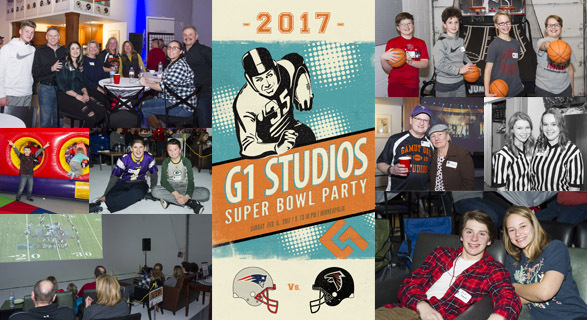 To top it off, over $2,200 was raised for the charities from Gamut One’s Silent Auction, donations and premium seat program! Thank you to our generous silent auction donors: Droolin’ Moose, 3M, Wild Wings, Loews Hotel, AmericInn, Swedish Comfort, Marketing Architects, Ryan, Hodgins & Associates CPAs and Frost River. Combined with the equally generous bidding and donations of our guests we are proud to have made a substantial contribution to the charity. THANK YOU. In addition to the auction action and the mad rush for Barb’s famous cookies, or Jeff’s mom Becky’s scrumptious brownies, the ‘Kids’ Zone’ was the place to be. 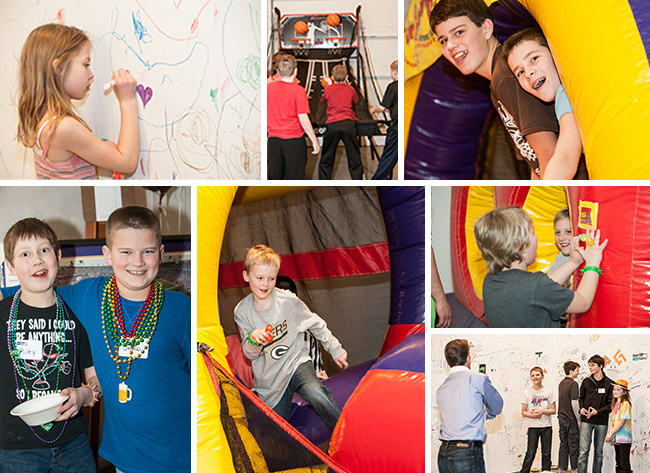 With a full size bouncy house, crazy kid games, candy and whole lot of hoopla, the kids had as much fun as the adults. To top it all off, there was no tears or tantrums during the auction bidding for the ever-popular Stuffies stuffed animals. Crisis averted. 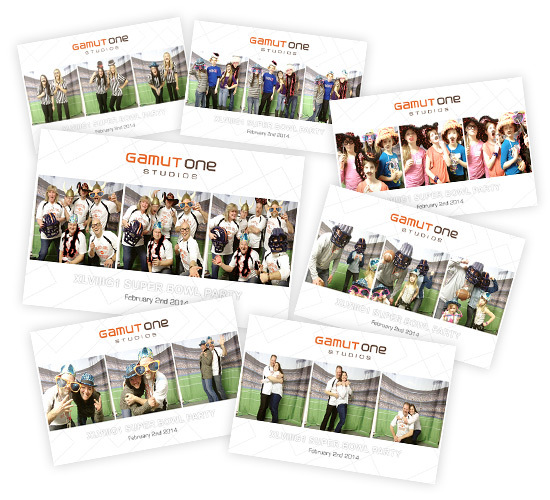 2017PhotoBoothPhotos from Gamut One on Vimeo. For a good laugh and a peek at the party highlights check out our photo recap of the event with snaps from Gamut One’s trademark photo booth. 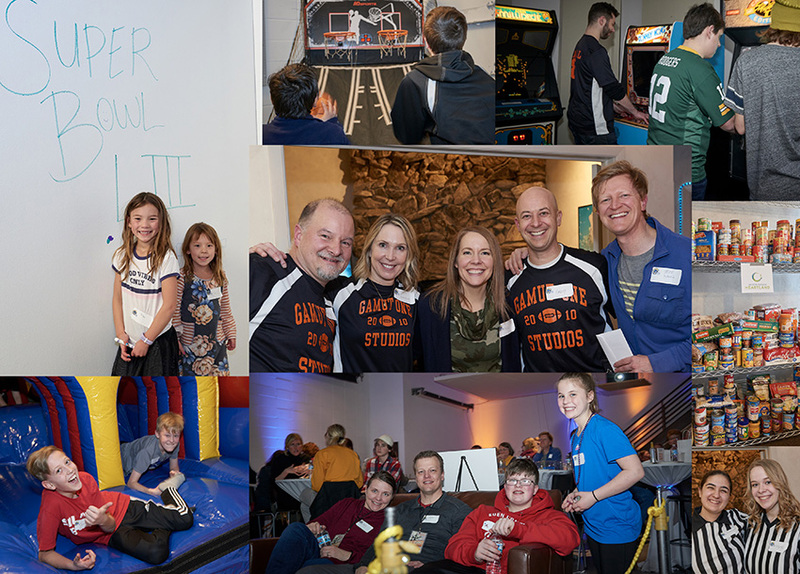 If the Broncos could only have played with HALF as much heart as our guests showed at the 4th Annual G1 Super Bowl party, they may have had a chance against the Seahawks. 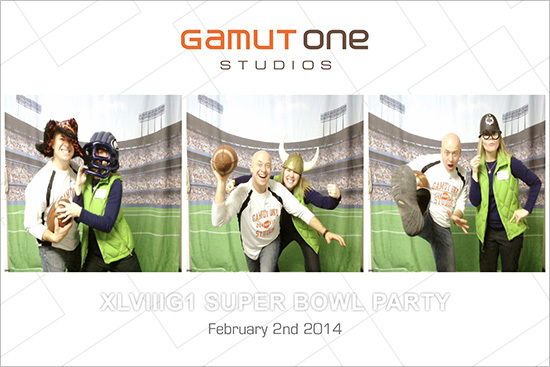 XLVIII-G1 Super Bowl Party (2014) from Gamut One on Vimeo. The generosity showed by our guests was truly amazing. With the silent auction tables, VIP seating auctions, and cash donations, the total raised for the Groveland Emergency Food Shelf was $908. 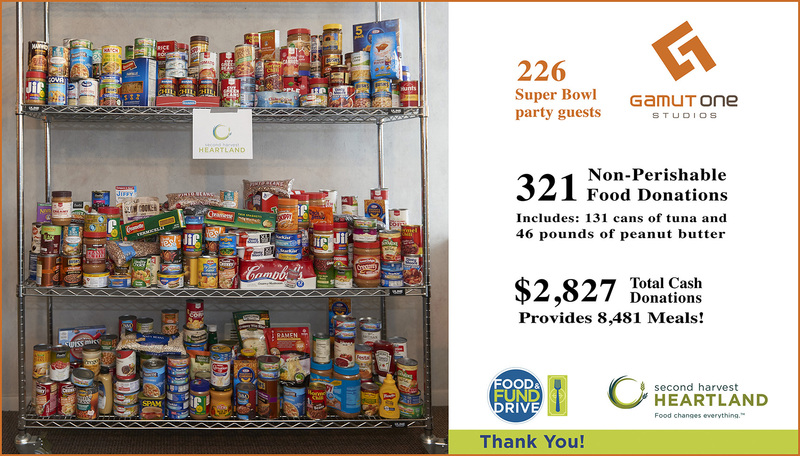 In addition to this, our guests brought over 30 bags of food donations! 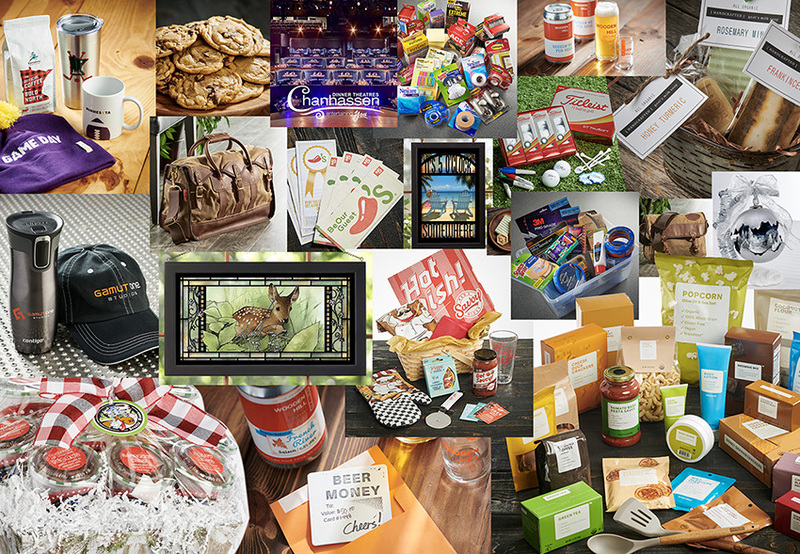 We want to wish many thanks to our friends and clients who donated their products and services for our silent auction. It was because of your help that we were able to raise the amount of funds we did. Thank you: Wild Wings, Mindware, Droolin’ Moose, Skyline Stadiums, Train Me Tom, and Frost River. Yes, the Broncos were trampled by the Seahawks 43-8 in Super Bowl 48. The Seahawks came to play and play big – just like the 75 or more kids who rushed into Gamut One Stadium’s fun zone. 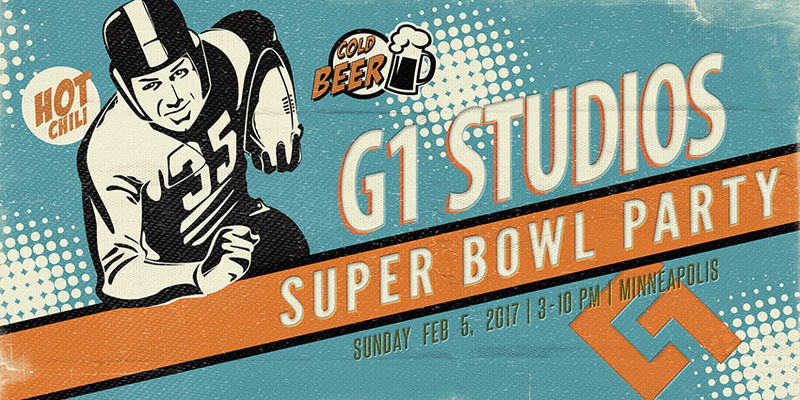 The G1 Super Bowl is where a kid can be a kid, Ok so someone else has that tagline, but it fits here. It fits well. Our studio B kids’ zone is always a big hit with our 36’ obstacle course, basketball shoot out, and touchdown pass challenge. 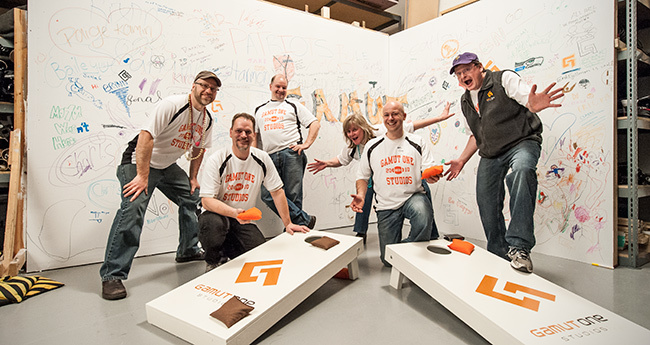 This year we added a new G1 signature bean bag toss and the graffiti wall. Kids don’t try this at HOME! Really. Many grabbed the Sharpies by the neck and took to the graffiti wall. 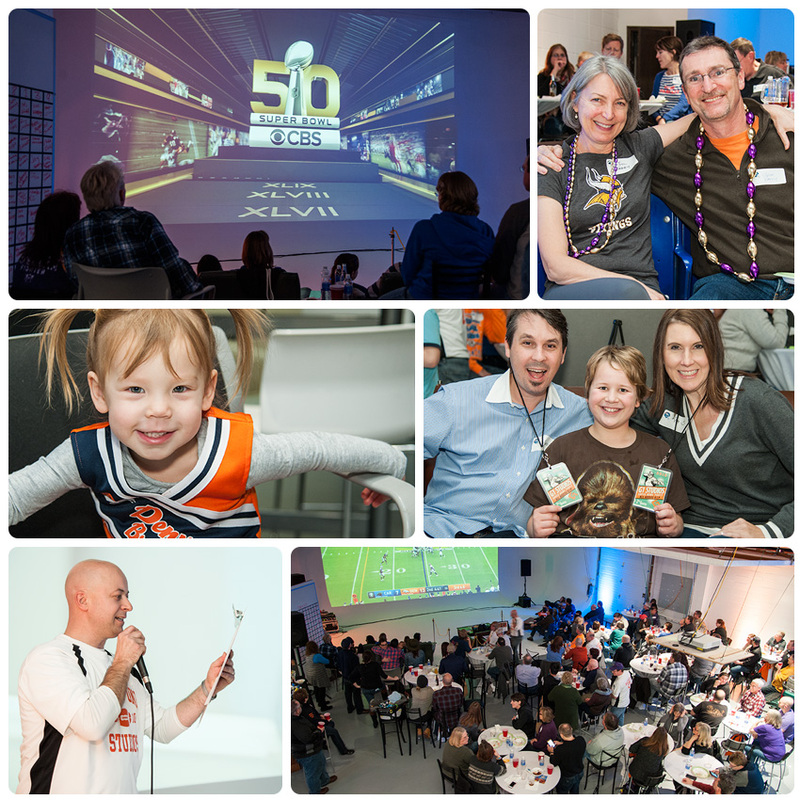 “Go Seahawks”, “Broncos”, “Sponge Bob”, “I love Cathy”… whatever your message, we offered 160 sq. ft. of white space to let the creative juices flow. The 30 foot HD screen and amped up sound in the studio never disappoints, unlike the Broncos attempt to put points on the board. 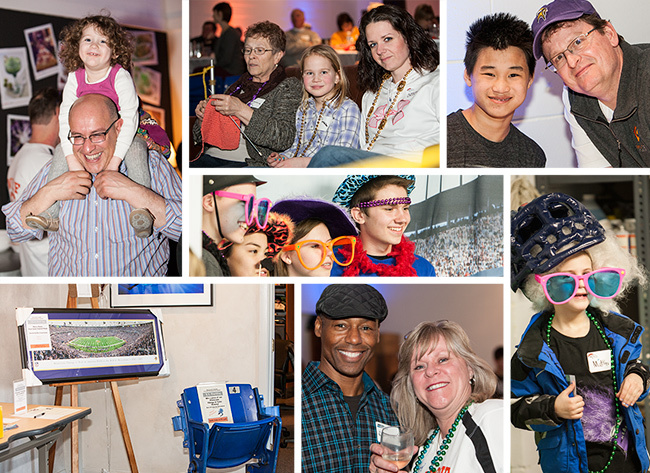 If you missed this year, be sure to plan ahead for the 5th annual event. At Gamut One Studios our mission is: to enjoy what we do, who we do it for, and produce the best images to create success for our clients. 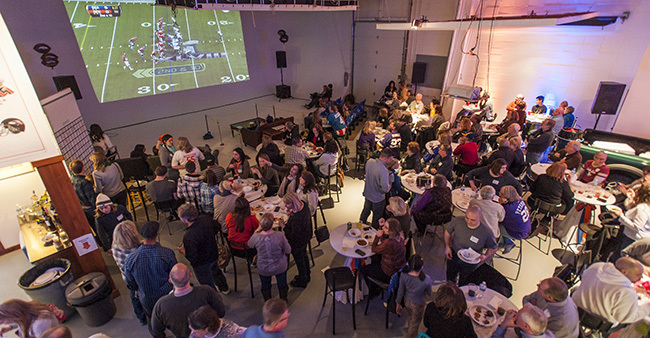 The annual Super Bowl party is just an extension of our mission: we really enjoy to share this time with our clients, family of clients, and of course our friends and family. Year number four, here we go! Last year was a blast, great food, great friends and a ton of fun as we watched the Harbaugh brothers battle it out. This year we hope the lights will stay on (at the stadium) and we’ll all be warmer than everyone at the big game! Tailgating starts at 3pm and don’t forget to bring some non-perishable food items to help support the wonderful work of the Groveland Emergency Food Shelf. 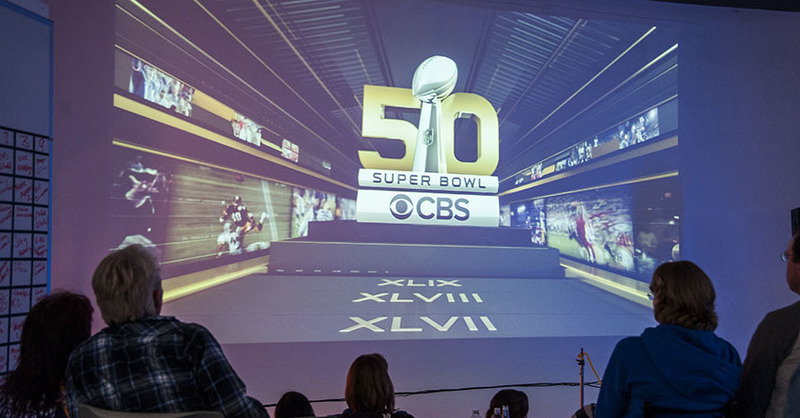 Of course we’ll have the big game projected up in HD on our 35 ft. cove wall. There will be games, prizes and bring the kids to jump around in the inflatable obstacle course. 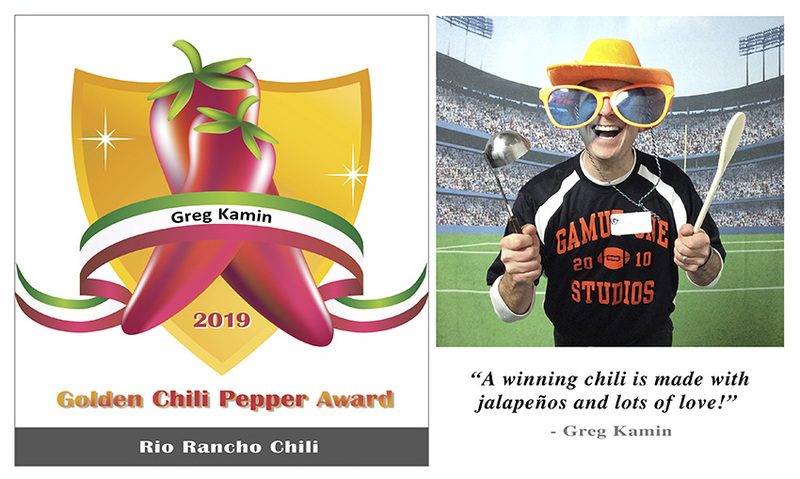 Taste, enjoy, and vote on the abundance of homemade selections of chili, as we compete again for the coveted G1 Chili Pepper Award. Can Greg be the first to repeat as Chili Champion? Help our preparations with a RSVP on our party page. We can’t wait to see everyone again!